• Click here for a new page featuring the eight new Camelot video interviews from the 10-11 October Brussels Conference (see below). • At the recent 10-11 October Brussels Groundcrew Conference, we were privileged to talk with Gerald Celente, Ed Mitchell, Stan Deyo, Matthew Stein, Lloyd Pye - and again to Jane Bürgermeister and George Green - all by remote videolink. These interviews are each archived on Ustream, although video quality is not the best, and some of them are hard to find: we will be posting all the links on a new page soon. 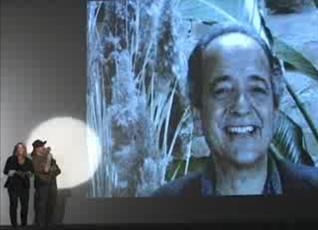 The interview with Gerald Celente - editor of Trends Journal - is particularly passionate, energetic and entertaining. We have extracted the audio, which is available here (35 minutes). For a 5 minute extract (well worth listening to in its own right), click here. The audio of the other interviews will be published here over the next few days. Enjoy. 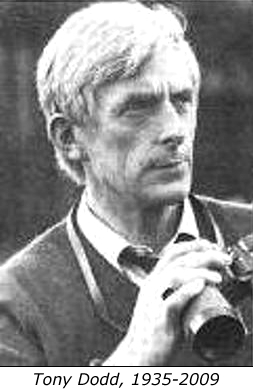 • We have added a tribute page for the highly respected British UFO investigator Tony Dodd, who died earlier this year. 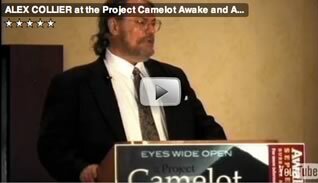 Two years ago he contacted Project Camelot with information that was so "hot" that he felt he could not put his name to it, but encouraged us to publish it - warning that it could be dangerous to do so. Click here to read the report, published under the pseudonym John Robie. • Our radio show archives have now been [mostly] cleaned up of the commercial breaks - and are all available for free download on our Audio Interviews page. The quality is highly variable, ranging from unintentional (sometimes very funny) comedy to high quality on-the-spot information, with some marvelous contributions from our guests. Some interviews were extremely good - including (but not limited to) Bill Deagle, Miriam Delicado, Richard Dolan, James Gilliland, Len Horowitz, George LoBuono, Richard Sauder, Michael Tellinger, and David Wilcock. The discussion we had about the Steven Greer video - where I (Bill) interviewed Kerry - was also a very good show, and may be valuable/helpful for some to hear if they've not already done so. Enjoy! • Bob Dean's LA Conference presentation - in which he again presents and comments on classified NASA images, and is as inspiring, dignified, and entertaining as ever - is now edited and uploaded. Next up will be David Wilcock, and within 24 hours we'll be releasing our interviews with Patrick Geryl [this one only after some consideration: see 5 October opposite] and Dr Paul LaViolette - soon followed by Jordan Maxwell's epic interview. Please be patient: as can be seen, we've been working round the clock to handle the backlog before we travel to speak at the Brussels Conference this weekend. • Click here for a 22 minute audio interview with Bill Ryan and Kerry Cassidy, recorded by radio host Rebecca Jernigan at the close of the recent Los Angeles Conference. Bill and Kerry talk with Rebecca about the conference itself, the magical process behind the scenes, the growth of Project Camelot, the groundswell of public activism and involvement - and where it may all be going. This wonderful little interview is energetic, animated, and a great deal of fun - and we can't recommend it too highly. • Rich Dolan's LA Conference presentation - on his outstanding book UFOs and the National Security State - is now edited and uploaded. • Click here for Duncan O'Finioan and David Corso's powerful presentation at the Los Angeles Conference. Duncan can be contacted through his new website here. He and we are aware [see also his 13 April 2009 audio interview here] that there are many hundreds - if not thousands - of others who have been the unwilling victims of the same or similar programs, and Duncan and other colleagues are gathering together a substantial support group. We encourage and support you to contact Duncan personally if you feel you may have something to contribute, or to discover about your own military past which for some reason you cannot remember. • Click here for a new page that will feature all the videos from the 19-20 September Los Angeles Conference in high quality. First up are Alex Collier and Jordan Maxwell. Duncan O'Finioan will follow within 24 hours, and more will be uploaded over the next week. We're currently editing our August interview with Paul LaViolette and the three-hour, in-depth interview of Jordan Maxwell which we did a week ago. Please be patient! We have a great deal of work on at the moment. 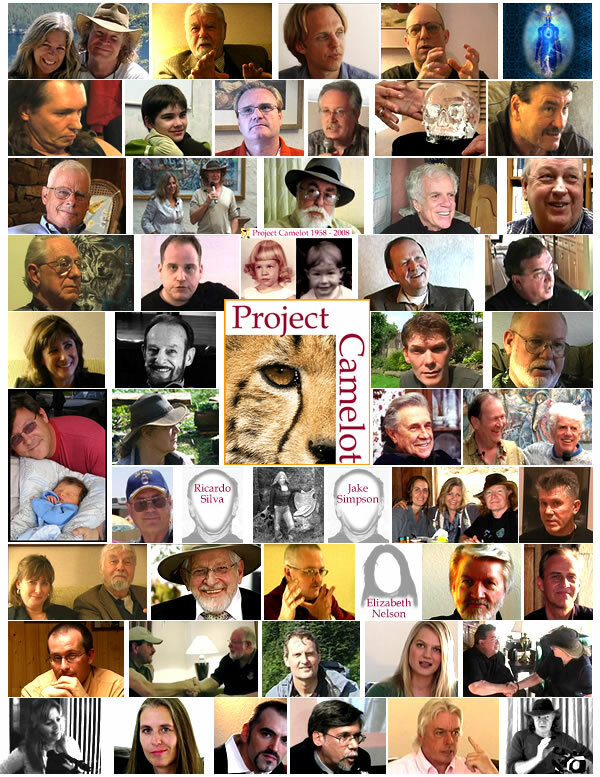 • Project Camelot has just received its ten millionth visitor. The major milestone came within hours of the end of the Los Angeles conference. 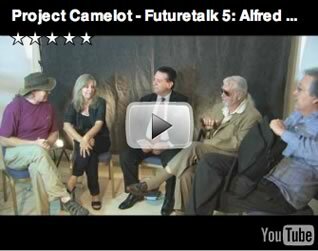 • Click here for a Futuretalk with Henry Deacon (Arthur Neumann), Bob Dean, Alfred Webre, and Bill Ryan and Kerry Cassidy from Project Camelot - recorded at the Barcelona Exopolitics Summit on 26 July. • "We really need to step things up. We need to step things up as a community. We need to step things up in unity - and make our voices a lot stronger than they have been." Click here for this 20 minute video message from Miriam Delicado recorded by Kerry Cassidy on 21 August, a few days after Miriam's auto accident (from which she has recovered well). 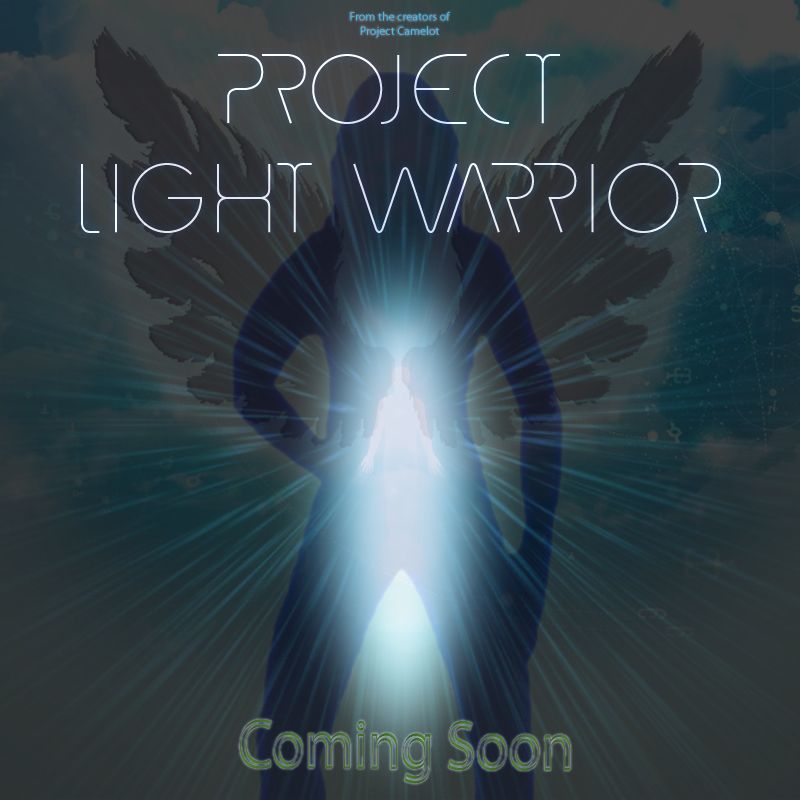 • Click here for a short video interview done by Kerry Cassidy with Dr Len Horowitz, when he spoke with Dr Masaru Emoto at the Live H2O event at Laguna Beach in June. • Click here for a transcript of Bob dean's Barcelona presentation, which includes links to high-resolution images of all the NASA photos that Bob revealed, and at the end of which Henry Deacon joined Bob on stage to confirm the existence of the Mars base. We encourage you to watch the video to get the true impact of this historical event...Bob Dean at the Barcelona Exopolitics Summit. For visitors unfamiliar with the Henry Deacon material, one option is to click here for the video conversation with David Wilcock - Jumproom to Mars : highly recommended. Henry has since explained that this device is actually known as The Corridor, and resembles a large goods elevator. 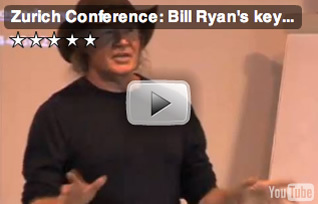 • Click here for a transcript of Bill Ryan's keynote presentation at the Zurich Conference. The alternating German translation is edited out, and the result is a smooth, continuous (and sometimes humorous) account of Project Camelot's view of the state of the human race in 2009. It makes for a good read, and we recommend it. Thank you for writing to us and taking the time to watch our videos. In regard to the editing style... We shoot interviews with 2 cameras... I use one main camera full on shooting the guest and behind that camera is usually the lead interviewer depending whether it is Bill or me. Most of the time it is me. Then we use the other camera as a roving cam and the other person does constant hand-held moving shots angling on whoever is talking -- either the interviewer or the guest. Then we cut it together... I like to emphasize the facial expressions and get interesting angles using the hand-held whenever possible to vary the pov of the guest and add variety. I also like to be zoomed in anywhere shoulders and above whenever possible. It requires a lot of attention while shooting especially for the one using the roving camera because they have to do a QUICK PAN over to the INTERVIEWER whenever that person asks a question .. then another QUICK PAN TO THE GUEST for the answer. While the lead camera is fixed solely on the Guest this is the most important footage as it never leaves the guest. We use that in editing as the primary reel and weave the other MOVING SHOTS in between. • Click here for a transcript of Rafa Palacios' interview with Henry Deacon (see below). Rafa's accent is quite strong and this may be helpful to some viewers. Our radio shows are on hold for the time being: please see our 24 September update below. We're currently investigating radio show formats and are open to considering various ideas to re-establish our radio presence. Listen to the archives here. Your generosity makes it possible for us to continue our work. 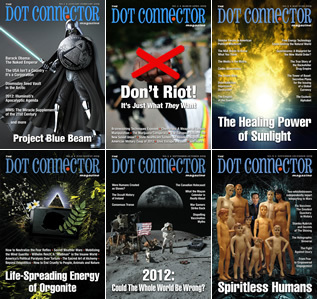 Click on the thumbnail for the most recent full-sized cover of Dot Connector. To subscribe, or to write to Paul, the publisher, click here. This has our highest recommendation. • Click here for Dr Rauni Kilde, the Finnish former Chief Medical Officer for Lapland, speaking about plans to reduce the world's population by two-thirds, and why the vaccine is the threat - not H1N1. We need more people like her and Dr Teresa Forcades [see Kerry's 5 November update below] speaking out with such integrity and courage. • Many of you have generously written with offers to translate Camelot transcripts and reports into other languages. We've not been able to respond to everyone, but have noted the addresses of over 60 volunteers. A number of you have also proactively sent translations of various pages which we've not yet had the resources to check or post. This is a huge project which Kerry and I cannot handle alone, and there's quite a backlog of work to handle. We're both totally aware of the importance and value of this project. What we need is this: one experienced volunteer, with professional co-ordination experience, who can manage a large international team of translators via one or two people in each language group to themselves coordinate and quality-check translation in Arabic, Chinese, Croatian, Danish, Dutch, Finnish, French, German, Hungarian, Italian, Japanese, Norwegian, Polish, Portuguese, Romanian, Russian, Spanish, and Swedish. The work will be detail-oriented and time-consuming and we cannot afford to pay anyone for their time. But the value would be enormous and would enable us to reach tens (maybe hundreds) of millions of people who do not have English as a language. The results will be incorporated in Camelot 2.0: a revamped website, which is in itself a huge undertaking. We've received many offers of assistance with that and are working on this now. The translation project would be incorporated in the new site. Please write to us with TRANSLATION in the subject line - if you'd like to co-ordinate the entire project, if you'd like to co-ordinate one language, or if you'd just like to offer your services as one of the team of translators. • While we are at it: MANY of you have written to enquire about Dr Pete Peterson's products. To help us collect these enquiries and pass them on to him, please write (for a second time if necessary, with our apologies) to this address with PETERSON in the subject line. We've not been able to catch up with Dr Peterson since the LA Conference, and we know he's genuinely extremely busy. Gathering together the many enquiries in this way will help all parties. Many thanks. • Kerry and I have just completed a marathon four-and-a-quarter hour audio interview with researchers Clay and Shawn Pickering (see 30 October update below) about the extensive personal experiences of their own US Navy insider source with two ET groups: a strange, silicon-based, highly advanced lifeform, and a physically intimidating reptilian race. Shawn and Clay have learned from their contact that these visitors are the focus of several current ongoing international programs dealing with the problems and opportunities of Disclosure. We were told a great deal about both these species, and Clay and Shawn were patient and most articulate in their replies to our many, detailed, and sometimes persistent questions. The audio needs quite a bit of editing (we got disconnected a number of times) but the result will certainly run for over three hours. We will be releasing this by the weekend if at all possible. • This analysis of the sudden new Ukraine flu outbreak is being widely copied around the internet, but it's sufficiently important to warrant posting it here also. [See our 19 August 2009 update for more on the extraordinary story of Israeli microbiologist Joseph Moshe - who warned in a phone-in to Dr True Ott's radio show that a Baxter bioweapon was being produced... in the Ukraine.] We've been following this new development since Friday, and an informed discussion of the outbreak (with Dr Henry L. Niman as one of the contributors) can be found here and here. Our intuition is telling us to watch this closely. As Kerry and I have stated publicly several times, in the game of chess that might represent the Controllers' strategy for persuading people to take the vaccine (whatever might be in it, and for whatever actual reason), one of the obvious next 'black' moves is to escalate the seriousness of the currently mild H1N1 so that people are quickly frightened into line for the 'shot'. We might be watching that move being played right now. Consider how this all fits together with Obama's National Emergency Declaration (rather like the H1N1 equivalent of the premature announcement that WTC7 had fallen) - and the Copenhagen Climate Change Treaty warning that Kerry posted below. Stay alert and informed, and think of it as a chess game. What is the next move? • Copenhagen Global Climate Change Treaty - Lord Monckton explains the move to one world government. International Treaty to take precedence over U.S. constitution. Obama slated to sign in December. [10/29/09 6:05:21 PM] Waterman: here is the link. Note: We cannot endorse or substantiate the info mentioned on the above link but you might find it useful... We plan to do an audio update with Dr. Waterman sometime this weekend if things go as planned. Clay and I were thoroughly enthralled with the Greer interview. The issues you brought up are being argued at the highest levels within certain programs. The angst is reflected at all informed policy levels. I felt Greer was a bit under fire but... hey... this is healthy for all parties involved. How else is understanding gained? By far, this was the best "interaction" in all your interviews. I'm glad to see that Greer kept his composure. True advocacy journalism can be uncomfortable for all parties involved. For those unfamiliar with Clay and Shawn, the Pickering brothers are New York-based researchers who were contacted in early 2008 by a US Navy officer - "Source A" - who provided them with details of high-level talks within the United Nations concerning ET contact and disclosure. Click here for a three hour interview with Clay published by the Open Minds Forum in May 2008. So, Disclosure is in the air. We'll be recording an in-depth audio interview with Shawn and Clay and will release this within 7-10 days. We're fully aware of the importance of this and are greatly looking forward to it - and so may you be. We'll keep you closely informed. 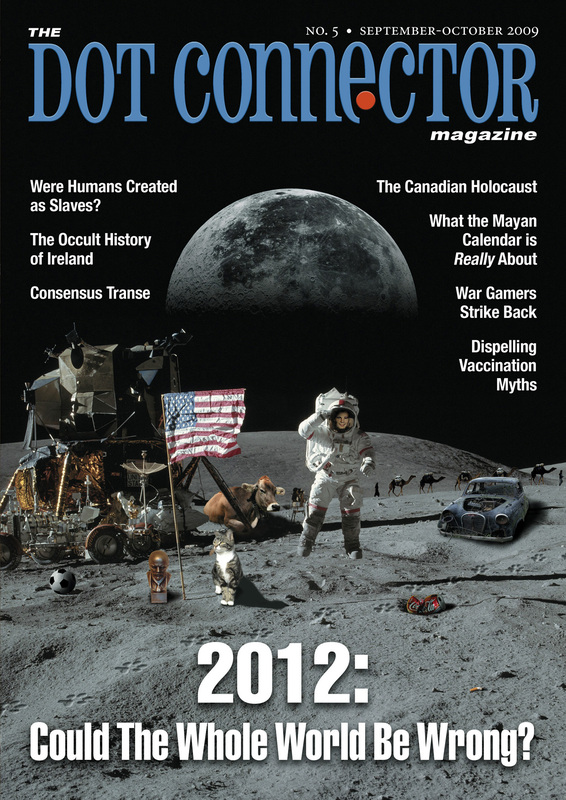 • A Friend of Camelot, Paul Bondarovski, is the publisher of a new magazine called Dot Connector. It's very high quality in both content and design and in our opinion stands confidently alongside established giants of the alternative reporting field such as NEXUS. 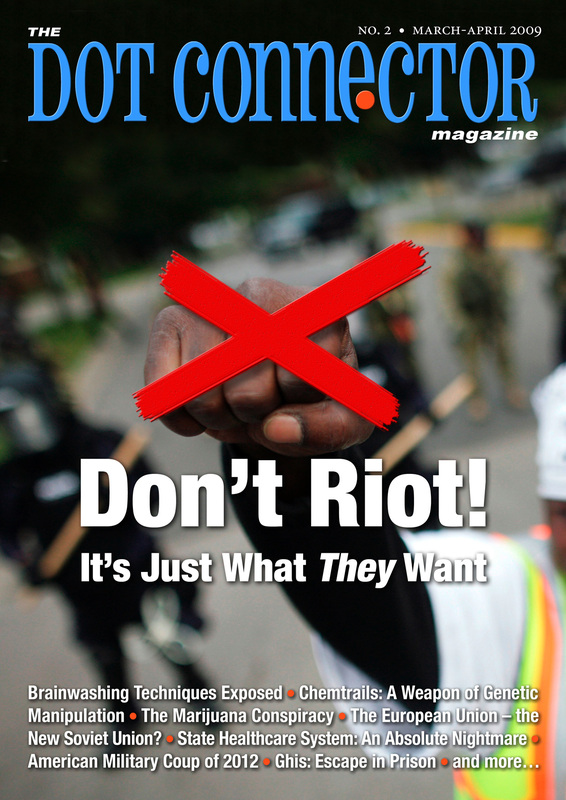 Click on each thumbnail for a full-sized cover. To subscribe, or to write to Paul, click here. This has our highest recommendation. 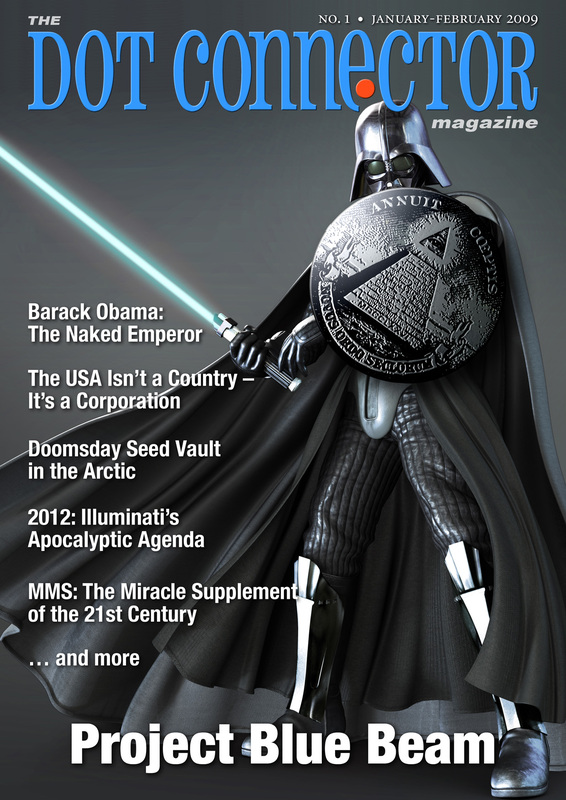 • In January 2008 we published a page about the infiltration of ET visitors into various arms of the government and military, and the problem that this posed for the authorities of various nations. We named our anonymous source John Robie. His testimony correlated strongly with some information which we had received in our initial interview with Bob Dean. We honor him here, and have added him to our Tribute page. • Kerry and I have been in Wroclaw, Poland, where we spent 24 hours with Igor Witkowski (researcher of the Nazi Bell - please see our interview with Joseph Farrell for more on this) and yesterday held a six hour workshop. On our way there we interviewed Klaus Dona, an Austrian researcher of ancient artifacts. Look out for a more comprehensive update in a few days' time when we each return to our respective desks and computers. • Click here for our three hour, definitive interview in which we present the work of Jordan Maxwell: the researcher and lecturer among us who has shown everyone else the way. Jordan talks with Kerry Cassidy, supported by Bill Ryan and David Wilcock, about major elements of the big picture that he has never spoken about publicly before. We believe this video is most important and we thank Jordan again here for his courage in coming forward to share his experiences and conclusions so plainly with us in the way he did. • Click here for the real-time video streaming of the Brussels conference, which will resume today at 9.00 am (or soon after!) with Jane Burgermeister - speaking from Vienna on a live video link. The day's conference schedule is here. Yesterday Kerry and I were privileged to do live video linked interviews with Gerald Celente, Stan Deyo, and (with Stephen Bassett) retired astronaut Dr Edgar Mitchell. All three conversations were fascinating, and Gerald Celente - the articulate and impassioned editor of Trends Journal - was highly entertaining. Archives are available on the Ustream page here: scroll down from the top of the page to locate the various links, which (please note) are not necessarily in sequence. 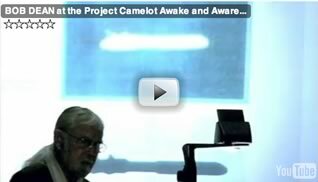 • David Wilcock's important two-hour presentation 2012: The Road to Camelot at the recent Awake and Aware in LA Conference. Visitors who have followed Camelot's work for a while will understand why we have released these videos simultaneously. They complement each other well, inasmuch as they offer very different views of the near future of Planet Earth. Our written introduction to Patrick Geryl's interview is the longest we have ever drafted: it was necessary, for reasons that will be apparent once you turn to that page. Dr Paul LaViolette is more measured, but his work is extremely important and has to be taken seriously: and last but not least, David Wilcock offers an inspired and altogether different view of how we may not have such a rough time ahead of us as others may believe. It would be trivial for us to say 'enjoy'... but you may appreciate the emotional and intellectual challenge, as we did, when considering the content of these three videos together. • Some visitors are still reporting strange problems with the audio and video downloading. Please bear with us and send us your error reports with as much detail as possible. 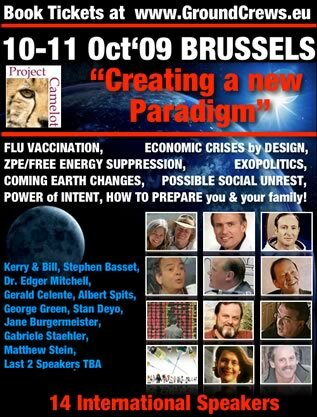 • This weekend Kerry and I will be in Brussels, where there is an impressive line-up of contributors at David Turley's CREATING A NEW PARADIGM Conference. We are speaking on both days. And the weekend after that (18 October), we will be with our friends in Poland. • Our server move is complete. All videos and audios should now download fully and without interruption. Again, we apologize for the longstanding problems in this area. Please do report any continuing bugs to us so we can troubleshoot them immediately. Thanks again to everyone for your patience. Once you have the files downloaded (and don't miss our audio interviews page as well as all our videos and the material from the recent LA conference) - we think it will be well worth while. • We're both working round the clock at the moment before traveling to speak at the 10-11 October Brussels Conference. We plan to release our interviews with Patrick Geryl and Dr Paul LaViolette together - because the latter presents a measured, cautious balance to the apocalyptic former. And we've also nearly finished editing our recent three hour interview with Jordan Maxwell - which, we tell you now, is dynamite: especially in the second half, when Jordan really tells all. These three videos offer alternative visions of the future. Patrick Geryl's opinion is so cut-and-dried - and quite devoid of hope! - that he was interviewed (not by us) in conjunction with the very alarming Sony Pictures disaster movie, 2012. This will be the first video we've ever published which includes our disclaimer that while the interview presents interesting information, and that we have nothing against Patrick Geryl personally, we firmly believe his conclusions to be incorrect. We actually debated between ourselves whether to release it at all - though it's a civilized and intelligent conversation, and Patrick Geryl is a perfectly well-meaning researcher. We'll write more on this later when the video is released, which should be later this week. • Kerry and I will be speaking at the 10-11 October Brussels Conference - next weekend. We look forward very much to meeting old and new friends there. Ticket prices have been reduced to 50 euros (15 euros for students) - which is quite a bargain for the two days. All details of tickets and location are available here. • Many have reported incomplete downloads of audio and video. This has been caused by our server being unable to handle the demand - for which we apologize. We're within days of upgrading to dedicated high-speed servers with far more bandwidth, and will let you know immediately the change is made. 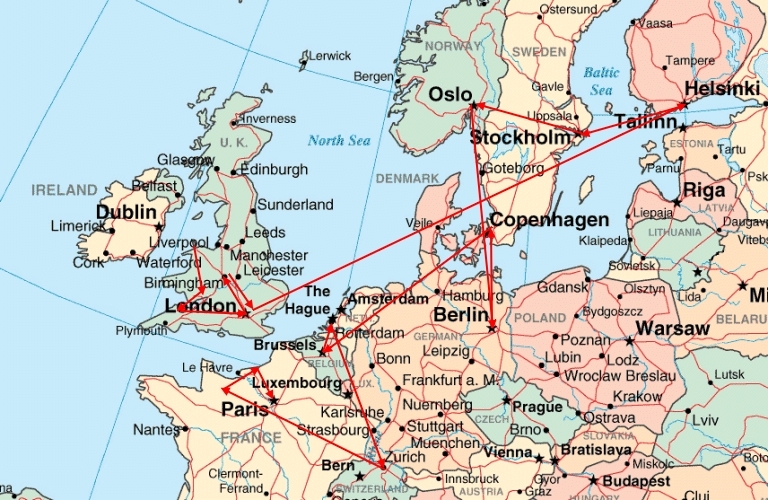 Steve is currently on a speaking tour of Europe: click here for details. 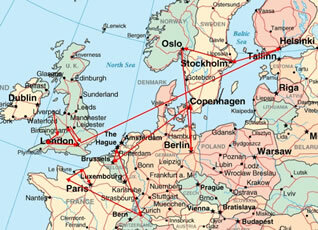 Notably, he'll be at the Brussels conference on 10-11 October, and in Zurich on Tuesday evening 13 October. • Many people have written to ask for links to the modified engine that operates on 20% fuel and 80% water - which was very effectively demonstrated at the recent Barcelona and Amsterdam conferences. This site is an excellent resource. We can confirm that the motor works exactly as described, and the technology is simple in concept. The website is in German (with automated English translation) but three of the four embedded videos are in English. We do urge people to check this out: modifications can be made in a basic workshop with no exotic materials involved. This really does work. • Many thanks to everyone who's written to us telling us how valuable and interesting they found our radio show. This feedback has encouraged Kerry and myself to focus on how we can dialog with our audience in real time while presenting up-to-the-minute news and information - uninterrupted by commercials, with the timing, scheduling and audio quality determined by ourselves. You may see us on air again before not too long, in a slightly different format. We very much appreciate all the support and helpful suggestions. 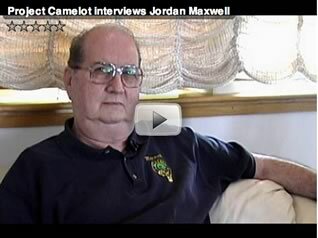 • Yesterday we conducted a most important three hour interview with Jordan Maxwell, who took the brave step to reveal on camera to us information he has never before presented publicly. The interview was spectacular: Kerry pulled out all the stops and afterwards was so exhausted she was almost ill. I (Bill) was impressed, and told her so. When at the top of her game, Kerry is one of the most gifted interviewers in the world. At the end of the interview, Jordan, who had also given it everything he had, felt quite emotional. There was a small audience, including David Wilcock, and all present were moved and captivated. This one is very, very good. We will release this absolutely as soon as we can. • To close, I'm writing this on the plane back to Europe. I'd like to thank all the many friends, old and new, whom I met and talked with personally during the last two weeks. It was a most valuable trip. Next up is Brussels on 10-11 October (Kerry's air fare being generously covered by the conference organizers), followed by an interview with 'Nazi Bell' researcher Igor Witkowski in Poland. Somewhere in there we'll be editing our interviews with Paul LaViolette and Patrick Geryl, and releasing all the video from the Los Angeles Awake and Aware conference on YouTube in high quality. We also have one more interview, which we'll release in transcript form, which may be quite a surprise to many. We have quite a lot going on at the moment and are working 24/7 to make all the information we have fully available. • We've made the decision to stop doing our experimental bi-weekly radio program. Recent shows, with every kind of glitch and problem, had become rather an unintended comedy - although this was genuinely appreciated by some. We will now re-focus on in-depth audio interviews uninterrupted by commercials, and produced by ourselves in such a way that we can fully control the scheduling, content, length and quality. 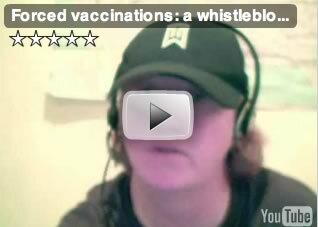 • Bookmark this site on legitimate vaccination exemptions... which could be useful for later. "Get your flu shot and save 10% on your next grocery purchase." Thanks to Dr Len Horowitz and investigative journalist Sherri Kane for bringing this to our attention. Please see www.fluscam.com for more information. Dr Horowitz was spectacularly knocked off the air when in the middle of discussing this and we have not yet been able to re-establish contact. • With reference to the item that was posted here earlier, Jordan Maxwell has let us know that the situation in which he found himself will now be resolved amicably. We are delighted. • Hot on the heels of the extremely successful LA Conference this weekend, Kerry and I will next be speaking at the Brussels Groundcrew Conference on 10-11 October. Click on the thumbnail below for a large image. It's quite a line-up - and there may be one or two more surprises based on the success of the LA conference itself. We salute David Turley's Brussels team for the speed with which they have made this happen. • We're getting a few messages from visitors who were unable to locate Jordan Maxwell's presentation. It's here - and is quite excellent. Must see. Alex Collier's presentation is here... also outstanding. 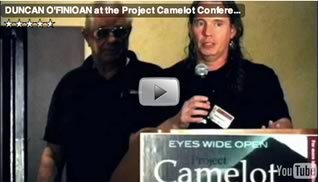 • The Project Camelot Awake and Aware Conference in Los Angeles seems to have been a very significant success. Archived unedited live video streams of all speakers - including rare, high quality presentations from Alex Collier, Jordan Maxwell, and Duncan O'Finioan (with David Corso) - are available here. Scroll down the page for a full list. Enjoy. • Jordan Maxwell has joined Alex Collier in accepting our invitation to speak Sunday (today) at the Los Angeles Awake and Aware Conference. Tickets are available at the door, from 7.30 am onwards. • We've received permission from Alex Collier to announce that he will be speaking at the Los Angeles Awake and Aware Conference tomorrow, Sunday 20 September. Be there. Tickets are still available at the door, from 7.30 am onwards. Alex will be speaking at 11.30 am. 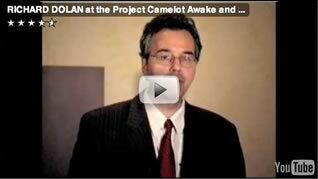 • Click here for free live video streaming from the Project Camelot Awake and Aware Conference. The streaming will probably start at 8.30 am Pacific time. For a conference schedule, click here - subject to change for all kinds of reasons which you will understand. This continues to be an experiment... please let us know how well it is working. • We're sufficiently concerned about this potentially very important YouTube video to have reposted it on our own account with full tribute. It shows a very brave young woman reporting what she's just learned about plans for roadblocks in California. 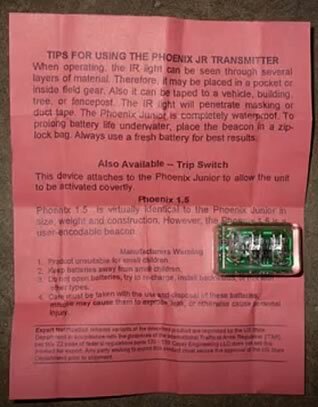 She shows documentation, and a photo of a device made by Cejay Engineering. Please read the full YouTube accompanying text which provides important context and more information. For those researching this information, note that Greg Evensen has recently posted a retraction about a recent statement he made. We continue to gather information and are seeking further sources. • We read this new report, written by Dr Alfred Webre, with great interest. In it he compares in some detail the experiences described by whistleblower Andrew Basiago with those put on record by Arthur Neumann ('Henry Deacon'). Both men claim to have spent time on Mars as part of highly classified, advanced programs incorporating 'Jumproom' technology - in essence a type of stargate. For references, see our video Jumproom to Mars or our recently published Futuretalk with Alfred Webre, Arthur Neumann/ Henry Deacon, and Bob Dean. One source, which we have not yet reported, has told us that on 5 November, 1971, using a device called a chronovisor, the US Supreme Court Building in Washington, DC, was observed "under about a hundred feet of brackish water". We do NOT know the date of the event which was observed here, nor what the incident was determined to be that had caused this event. This was Andy Basiago. We'd love to record his experiences on a Camelot interview and only logistics and finances have prevented us from getting together to do this. 2) Arthur/Henry has asked us if we would make a statement that he did not work for the NSA - as reported mistakenly in Alfred's new article. • Dr Alfred Webre is speaking about Mars, Jumprooms, time travel, and other topics at the Los Angeles Awake and Aware Conference this coming weekend. We now have Jordan Maxwell attending, and he will be introducing Bob Dean, his very good friend. Dr Bill Deagle will also be there - and there may be some potentially extremely important surprises. Furthermore, we already know that there will be unnamed whistleblowers in the audience. Click here to reserve your ticket for the event. • We have had many messages reporting curtailed downloads of audio and video files from our site. The problem seems to be that the load on the system causes there to be temporary interruptions - after which the download is not continued. Click here for a solution. Please let us know if it works! • Last weekend I (Bill) was speaking at a large event in Poland, organized by the popular and well-respected alternative researcher and journalist Janusz Zagorski. His website is in Polish, but some scenes of the event can be seen streaming from his online TV portal. I was impressed with the energy and awareness of the Poles. On the first day, I spoke for an hour and a half... and then after that found myself talking for nearly three more hours to a focused and intelligent group of 30 people who had every question one might ever imagine. I followed this up the next day with a packed four hour workshop for over 120 participants. We're looking forward to our next visit, when Kerry will be in Europe next month - and when Janusz will arrange an interview with the Nazi technology researcher Igor Witkowski (see our Joseph Farrell interview for more information). • On return, I passed through Austria - where I sought out and met with Jane Burgermeister. (Yes, she's real, and yes, she really is in Vienna). Moreover, she is feisty, determined, passionate, articulate, and totally authentic. 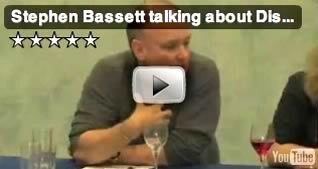 Click here for the 50 minute video interview, and Enjoy. • DONATIONS NEEDED for for promoting the Project Camelot AWAKE & AWARE in LA conference to the general public. $2,000 will enable us to advertise in the LA Times and communicate with the widest possible audience. This is the way to reach people who would otherwise never encounter this material. Please click on any PayPal button on our site: you're not just doing this for us, but to help educate many more people about the vital subjects that will be addressed at the conference. This is quite a historical gathering of great minds and spirits with a huge amount of information to share. Don't miss this. It could be a conference like no other. Click here to buy tickets now. Advance ticket price is $150. • Dr Pete Peterson interview links for Part 3 to download from site are now fixed. • Site is loading better today--thanks to our hosting service KWD Services, Karl & Dave. Dr Pete Peterson interview is now fully live. Part 3 is now online and available. The site may be slow to load at the moment... because of the heavy traffic. • Click here for the long-awaited release of our interview with Dr Pete Peterson. The publication was delayed because Dr Peterson was concerned that it might contain some material that was just too sensitive, and which might endanger us. He spent some time checking with colleagues to ensure that we would be safe to release the material. At the time of writing, he has not specified what these sensitive parts of the video are - though one might guess. We have taken the decision to take these risks upon our own shoulders and to release the interview in its entirety. It has not been cut. We hope that those who have been waiting this for what feels (to us also!) quite a long time may understand the complexities and many factors involved, and that being a whistleblower is far from a simple matter. Dr Peterson is a man of high integrity who is very concerned about some of the problems faced by the human race, and who to his immense credit feels that he must give a warning. Besides the warning, as you will see, he offers a substantial smorgasbord of fascinating information on a very broad range of subjects. Note: at the time of writing Dr Peterson is currently scheduled to speak at the Project Camelot Awake and Aware Conference in Los Angeles on 19-20 September. Don't miss this. • FEMA Ads: You gotta love the recent ads on the FEMA 'get ready' site http://www.ready.gov. • On Whistleblowers: And yes, we are planning to release the Pete Peterson interview Friday. One thing everyone needs to understand is that this whistleblower, and a few others, are still working for the PTB (Powers-that-be, for those who need the translation). How can a whistleblower still be working for the Man? Easy, they are playing both sides... Their hearts are in the right place. Their reasons are complex. They may for instance be working for the good guys (or white hats) within the Matrix... They may be thinking that the dark side is losing and they are planning to defect or they may believe in a cause such as National Defense.. It's not all black and white. Think of it this way: if you work for a company, any company, you see its flaws but you need the paycheck or you support what their overall mission is... yet you may hate what they do to obtain the upper hand in the game (such as lie, kill and maim). Like it or not, a whistleblower from within the Matrix is in many ways treading a tightrope. They want to stay alive but they want to warn you, enlighten you or even save you... It's a matter of degree as to how far they can go before they reap consequences they may regret. On the outside, our situation isn't much different. We get the truth out there and risk whatever blowback may come. In the end you lay your bets and you take your chances. If you only knew just what was happening in the world and all I am trying to prepare for and to prevent. Everyone is working 24/7 to do the same. Those I've needed to get approval from have been sleepless for weeks and are not very responsive. I've told them that I must have input by Friday or off it all goes. Sorry about what is happening to our world, or maybe not. Hopefully we'll all see each other soon. Hi there, Pete - a big bear hug to you there! Thank you so much for this. We’re getting a lot of flak (as you can imagine) for promising something important, timely and relevant... and then (seemingly) failing to deliver. May we therefore release this on Friday if we do not hear to the contrary? Very much looking forward to seeing you in LA in a couple of weeks’ time. Pete, your email is extremely fascinating in light of the very, very intense dream messages I’ve been getting, which is about to go into a big post on my website. The only other time I had messages coming in this strongly before an event was prior to 9/11, but this time it doesn’t appear that it’s a disaster as much as a very substantial change. In the video you may remember that you were very careful not to release anything you didn’t want released. The only suggestions I had made to Bill and Kerry at the time were to delete the portions of the video where you were asked questions you did not want to answer, since some of them were leading questions. Our conversations were some of the most fascinating I’ve ever had and I would love to do it again some time. There are many ways in which our knowledge complements each other nicely. Pete - very good to catch up with you just now. We got bounced out of Skype (which is how we were calling you) and then could not reconnect. That sometimes happens - not necessarily anything malicious. Take care and get some sleep - we’ll release the video on Friday if we don’t hear from you before then. We seem to have hit a snag in getting Pete to approve the video interview we did with him now nearly two months ago. Apparently the PTB [Powers That Be] are not entirely happy with the intervew and we are still awaiting Pete's approval. We apologize for the delay. It is testimony to what an unfree society we live in that this interview would cause the PTB to step in. Wonder what it contains that has them so worried... If you choose to think about this, it appears they may be in quite a bind. If they delay it any further then we will have to assume it contains some really important revealing testimony. • This 19 page document, leaked from the French Ministry of the Interior, seems genuine. We invite all French speakers to take a very close look. It appears to detail plans for the vaccination of the whole country between October and January. It's extremely probable that if such plans exist, they will be co-ordinated between all European countries - and very likely all other countries under the governance of the WHO, including the US. I do believe much of the information that is displayed on your site, but I think it is to late to stop anything. To be blunt, it seems that we are all f***ed. I've just replied - and the topic is so important that I felt I should post this publicly. Many thanks for your message. Actually, we don’t believe this at all - that it’s a losing game. I didn’t come here to this planet this lifetime to lose the game - or even to have the experience of losing. Kerry, I and tens of thousands of others - maybe yourself also - came here to handle what needs handling. 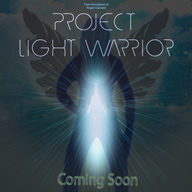 There are many, many aspects to this worldwide project. Everyone has a job to do, according to their own personality, preferences, abilities, and what they enjoy doing. MANY people are here right now specifically to deal with these problems. For sure, there’s a lot of work to do, and it’ll not be handled overnight. But we’d not be here if the game was rigged. It’s open. We may lose, or we may win. That makes it interesting, often fun, and provides a wonderful learning experience. And I do think we may find many surprises in store for us along the way. When I talk of winning and losing, I'm not talking about FIGHTING. That's important to understand. Fighting for peace never works. When I refer to winning, I'm referring to creating the kind of world we want to see - one of freedom, opportunity and abundance. And there are others who want to see a world different from that. These are the Illuminati. They believe they have the power of the Godhead in their own hands, including the right to do with us whatever they think is expedient or practical... from their own point of view. These people - and the beings who control and influence them - basically have their own karmic issues which they're working out (or failing to work out). The real challenge for those with the ability to do so is to assist them in freeing themselves. Until that occurs, we may be stuck in a guerilla war in which we together form a kind of underground minority resistance. There's not much liberty in that. But in the meantime, we do need to take proactive measures to ensure that we all remain free on Planet Earth. That's not part of the Illuminati game plan. So the spiritual and the practical go hand in hand. Each of us may apply our own skills and intent in different ways. And in order to do this, we must be fully awake and aware. One of the ways Kerry and I try to wake people up (which is an essential part of the process) is to tell people, honestly, and as best as we can, what we understand is going on. Many others are doing the same, of course. But telling people how it is is not the same as telling people how it'll all turn out. We also do that, which you may have missed. 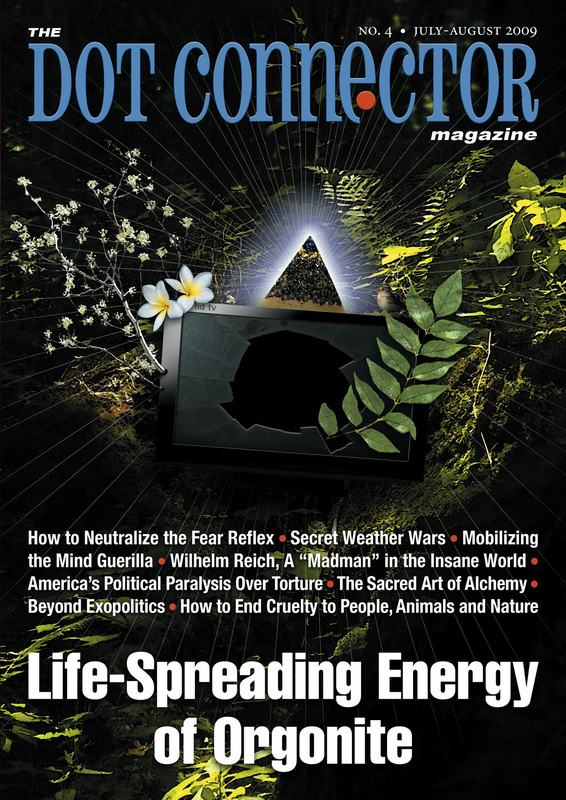 We agree with David Icke - see the conclusion of my Open Letter to Jeff Rense here - that this will all end well for us all, but there is work to be done between now and then. My Zurich presentation here covers all of this in detail. Do watch it, if you've not already done so - and you may end up feeling much more inspired. 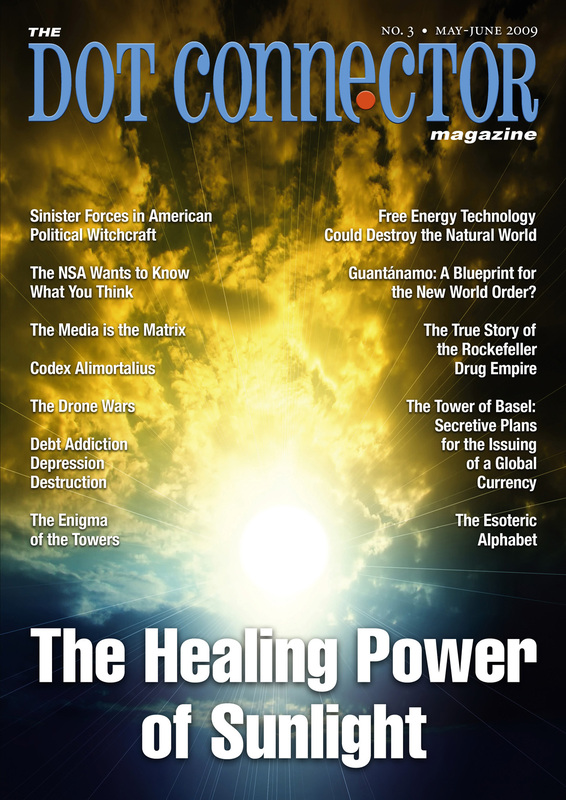 • Our sincere thanks to each of the many hundreds of people who have written to us in their support for the Open Letter to Jeff Rense posted above. We hadn't been expecting such an extraordinary response, and have been really quite blown away. Please understand that it's just not possible for us to reply to each person who wrote. Our appreciation is conveyed to each of you here. In response to many who have asked, the exact link to the Open Letter above is here. 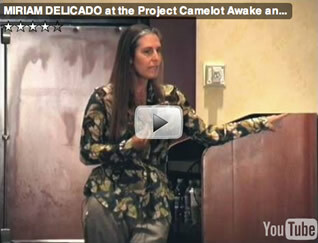 • We're gearing up for the Awake & Aware in LA Project Camelot conference in three weeks' time. We hope to see you there. You can buy tickets in advance here, saving $25 off the door price.